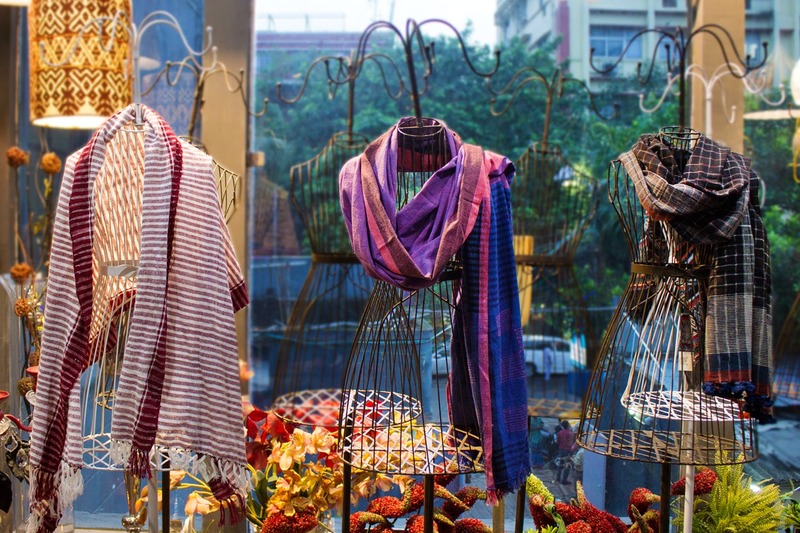 We spotted an unusual scarves and stole studio on Russell Street that you might want to take a look at. It’s run by Anshuman Singhania, a special needs artist. Tucked inside a building on Russell Street, Andrews & Co. is a pretty little studio that’s dotted with shelves full of scarves and vintage wire mannequins. Cotton, wool, merino, cashmere and several other blends — we found a wide selection of stoles and scarves made from a gamut of materials and in various styles like checks, digital prints and patterns. What really stood out were the handwoven ones made of wool or fine cotton threads. The store also has beautiful luxe gift boxes and a wide variety of styles to pick from. These are all made by special needs artist Anshuman Singhania who has Down Syndrome. Weaving is a therapy of sorts, not only channelising his energy but also keeping his muscles strong (muscles degeneration is one of the symptoms of this condition). While the basic ones start at INR 1,650, the prices can go up to INR 30,000.